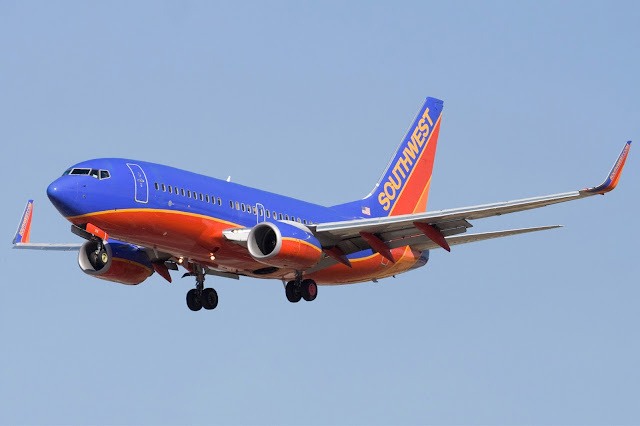 Relentless Financial Improvement: Free round trip flights to San Jose on Southwest! I just booked us 2 free round trip flights on Southwest Airlines for a wedding we will attend in San Jose in November 2015. It’s a great feeling to have enough rewards points to be able to travel almost anywhere at anytime. I like to regularly share how easy it is to redeem credit card rewards points towards free travel. Here’s how I did it. Once we determined our travel dates, I started looking on Southwest Airlines, American Airlines, and Virgin America to see which airline offered the best redemption of points from Orange County (SNA) to San Jose (SJC). Chase Ultimate Rewards points transfer to Southwest Airlines (if you have a Chase Sapphire Preferred, Ink Plus, or Ink Bold credit card). Citibank ThankYou points transfer to Virgin America (if you have the Citibank Premier or Prestige credit card). 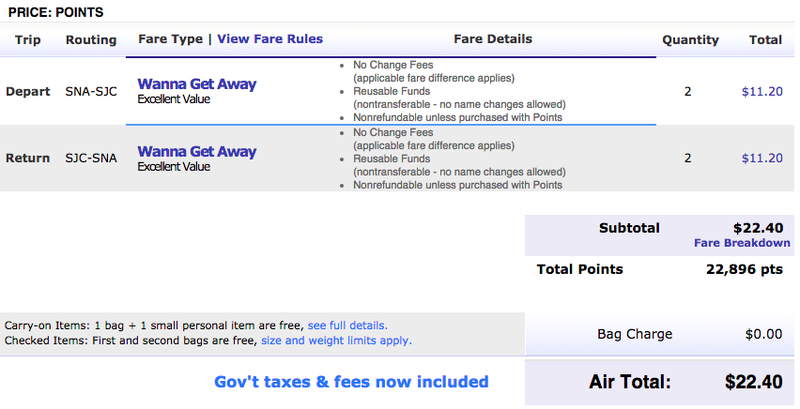 Both cash price and points redemption for the flights we wanted were cheapest on Southwest. Each one-way flight on Southwest would have cost $102 for a total of $408 ($102 x 4 for me and my wife). The same one-way flights cost 5,724 Rapid Rewards points and $5.60 for a total of 22,896 Rapid Rewards points and $22.40. Flying on American Airlines would have cost 50,000 miles. Flying with Virgin Atlantic would have cost 16,188 elevate points, which converted from Citibank ThankYou points would have cost 25,900 points (1,000 ThankYou points = 625 Virgin elevate points currently). Also, Virgin Atlantic flies from LAX (Los Angeles) to SFO (San Francisco), not exactly the airports we want to depart from or land in. We used Chase Ultimate Rewards points towards our flights since it gave us the best redemption value of our points. I don’t normally carry a large balance of Rapid Rewards points. 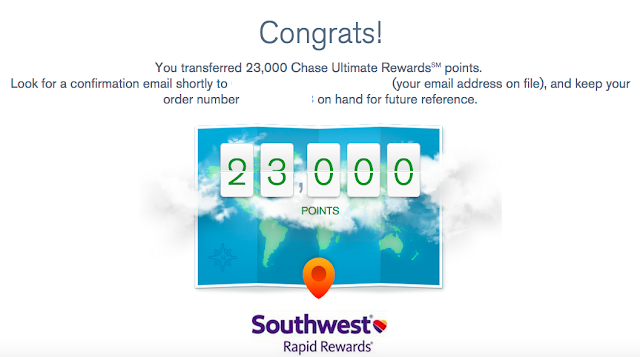 I usually transfer my Chase Ultimate Rewards points into the Southwest program last minute as needed. Transferring Chase UR points to travel partners is extremely fast and easy. I just logged into my account at www.ultimaterewards.com. Then I selected 23,000 points to be transferred into my Southwest Rapid Rewards account. The points were transferred to my Rapid Rewards account after I re-logged into my account. Once I had enough points in my account, I booked the flight right away. In my experience, you should book your award travel as soon as you are absolutely sure about your travel plans. Prices seem to always go up. By redeeming 22,896 points and $22.40 towards this flight, we saved $385.60 ($408 - $22.40)!